Landscape photography: it’s a genre that draws viewers in with magical sceneries full of land and water. 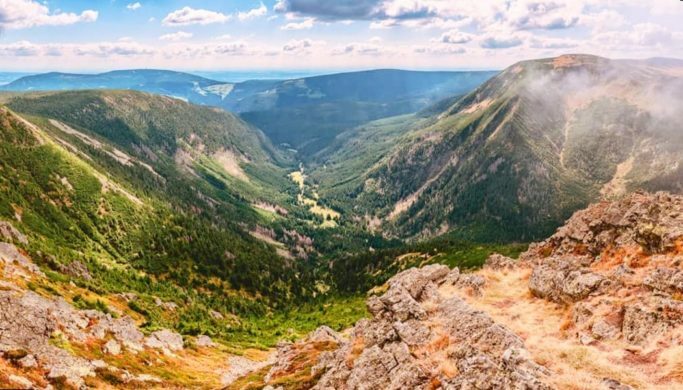 Despite all the progress that mobile photography has made, you’ll still capture the beauties of landscapes best using a good lens and camera. Choose the right combination of these two, and you’ve got the foundation for capturing every scene just how you had in mind. When you’re first starting out with choosing landscape kit, focus on landscape essentials. Above all, you need high-quality lenses and, frankly, lots of accessories. and you’ll also be glad to have a kit lens around. First let’s talk about the lens that you’ll need the least, but will curse and shout when you need it and don’t have it. I’m talking about a telephoto lens. These lenses let you zoom in on distant details in a landscape. Like a hill peeking out of the fog, or snowy mountain peaks lit by the sunrise. 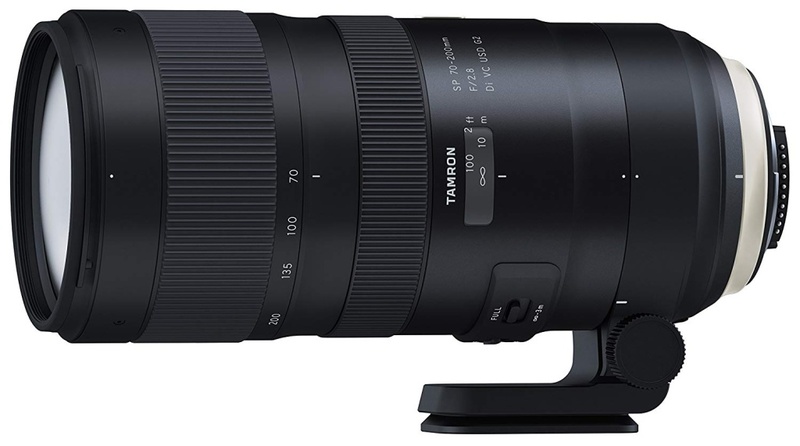 A Tamron SP 70-200 f/2.8 Di VC USD G2 lens is actually a quite reasonable alternative to a first-rate Nikon or Canon lens with the same focal length. You’ll save a hundred dollars or two over the name brand, and the results don’t really lag behind. Then you can take the money you’ve saved and invested it into photo travel, or into buying other kits. The ideal telephoto lens provides focal lengths in the 70–200 mm range, and minimum f-numbers of f/2.8 – f/4. Probably the most common are telephoto lenses in the 70–300 mm range with minimum f-numbers of f/4 to f/5.6. They can sometimes suffer from poor detail and a lack of resistance to rough weather. 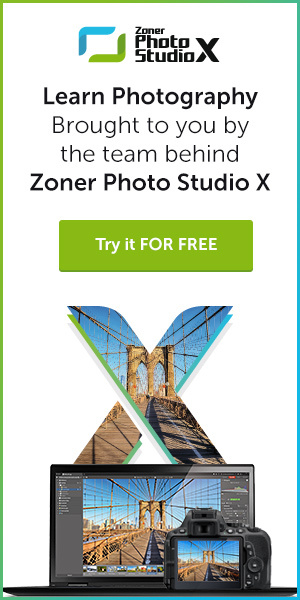 In other respects, they don’t hold you back at all, unless you’re a professional photographer who needs top-rate outputs. Wide-angle lenses, meanwhile, let you get more of the landscape into the frame. Here cameras with APS-C or 4/3 chips can hold you back because their crop factor makes it difficult to get a wide enough shot angle. Photographers with full-frame chips have a simpler choice. 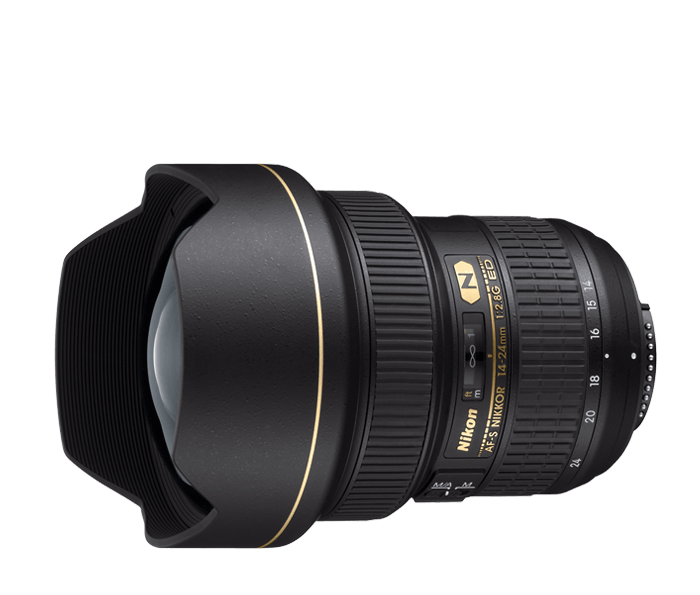 Despite its high price, the Nikon 14–24 mm f/2.8 lens is a very popular wide-angle choice for users of Nikon cameras with full-frame chips. The Tamron 15-30mm f/2.8 G2 and the Sigma 14–24mm f/2.8 are two high-quality alternatives to it. These are produced for both Nikon mounts and other cameras’ mounts. For a body with a full-frame chip, a lens with a focal-length range of 14–24 mm is usually enough. A lens like this lets you use shot angles in the range of roughly 114.2° to 84.1°. A fixed 20mm lens is also a good choice for full-frame sensors. 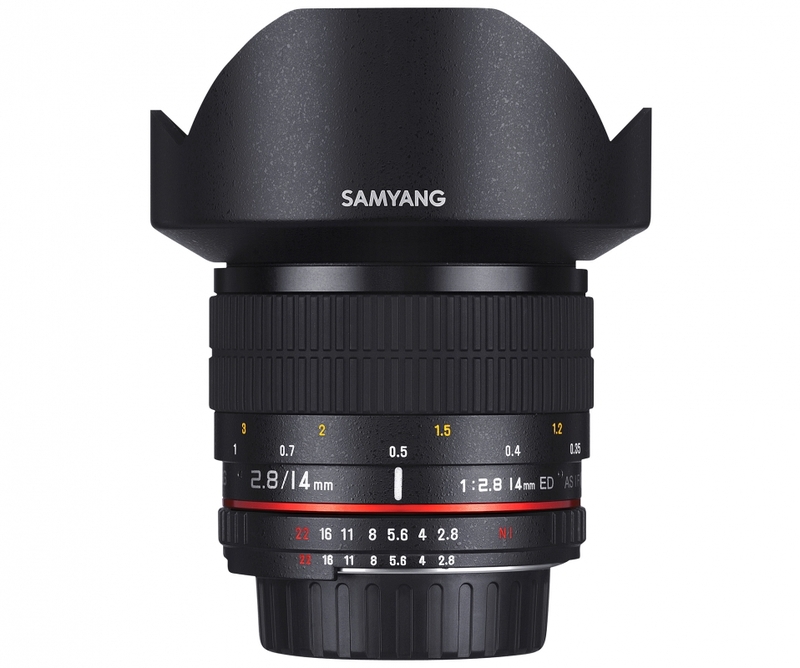 Maybe a cheap yet good-quality Samyang 14mm f/2.8, which is also an excellent choice for photographing stars, due to how its detail drops off at the edges. 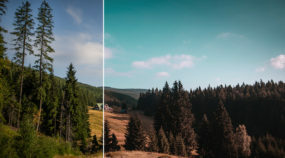 If you own a camera with APS-C and a 4/3 chip, look for a wide-angle lens in the 10–35 mm range to ensure you’ll get an angle that’s actually wide enough. You’ll have a bit of a hard time finding good options, but at least all your gear will be physically lighter than what a full-frame user has to carry. You can also look among fixed lenses with an 8 mm focal length for 4/3 chips, and a 10 mm length for APS-C chips. When you’re making your choice, keep an eye out for fisheye lenses. These have a high distortion of the field of view. They have a shot angle of 180 degrees, and they’re marked as fisheye by manufacturers themselves. The Samyang 8mm f/3.5 and the Nikon 10.5mm f/2.8 are two examples. 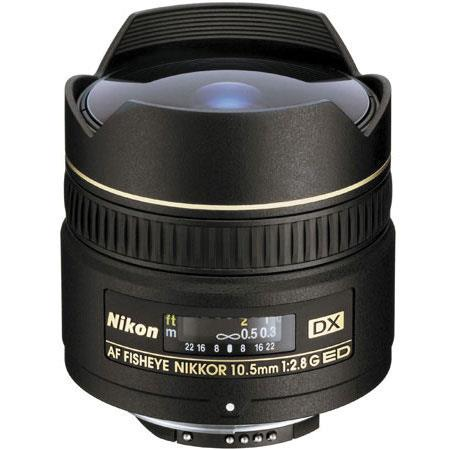 A high-quality fisheye lens for Nikon DX cameras. We’ll be publishing a review of it in the near future. If you travel a lot, you’ll need a kit lens, which will fully suffice for most of your landscape photos when you’re on the road. For a full frame, this kind of lens will ideally be 24–70 mm with a minimum f-number of f/2.8. For APS-C chips, the ideal range of focal lengths is from 18 to 55 mm, or in the better case 18–105 mm, with f-numbers from f/3.5 to f/5.6. I’ve Got My Lens. I’m Picking a Body! There are no 100% recommendations to be made for camera bodies, but there are some parameters to go by. Photographing landscapes means journeying out to the shot, and so it’s better to have something light and small. Bodies that meet these two criteria are either usually mirrorless cameras or APS-C DSLRs. These two are lighter than full-frame DSLRs. The camera’s other features will be another important factor in your choice. Having the right ones available can often really help. Like a flip-out display or bracketing. Many features are useless for landscape photography, though. For example quick sequential shots or a built-in flash. So if a camera happens to lack those features, it won’t really be a problem for you. So the ideal combo depends on what kind of landscapes shoot. The more you find yourself traveling out for your shoots, the more you’ll want to own a lighter, more compact body that will save weight in your backpack, and high-quality lenses for it. Note that you can take high-quality landscape photos even with an entry-level DSLR with a lower chip resolution. The trick here is to shoot a panorama. That way, even with just a 15 MPx chip, you can get a picture with a resolution that’s several times higher and with a file size of up to hundreds of MB. Lenses and cameras aren’t everything. 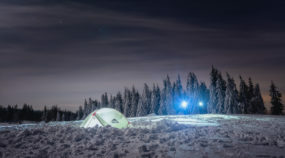 To really do things right, alongside your landscape camera and lens, you’ll also need accessories such as filters, a tripod, an L-plate, and a remote trigger. It pays to buy a circular polarization filter, as these can emphasize the sky and filter out reflections from rivers and lakes. A high-quality and solid tripod is nice to have… though not so nice to carry. Something like a Manfrotto is super, but you’ll soon be cursing those 5 pounds. So feel free to opt for a light folding tripod made of carbon, etc., like the Genesis products or the Manfrotto BeFree. These tripods are smaller and less stable, but you generally don’t need to pull out all of the sections of the tripod’s legs. 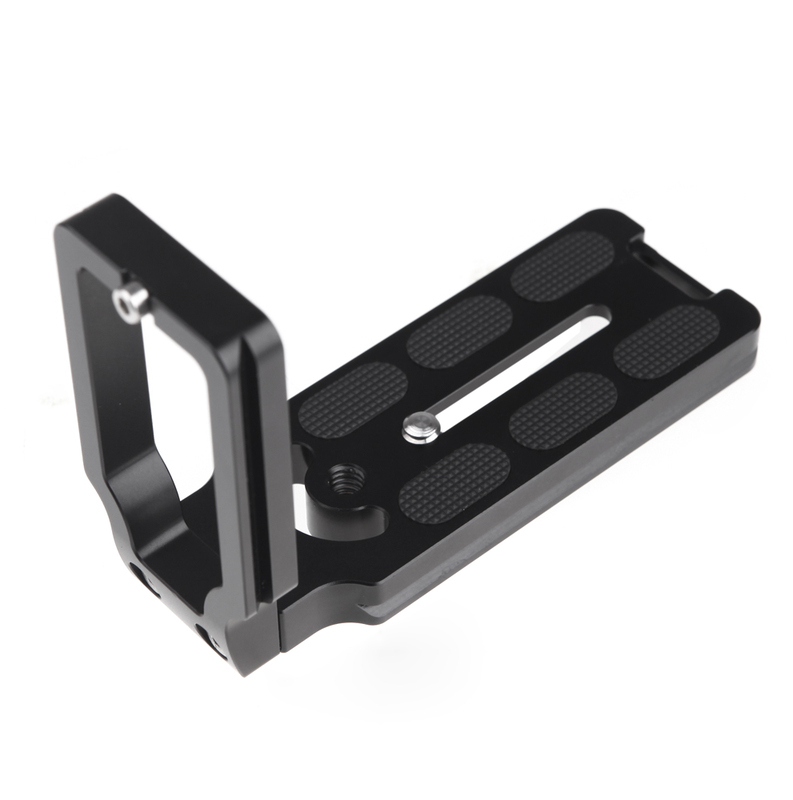 This L-shaped tripod plate lets you attach your camera to your tripod in portrait orientation. That way you don’t have to lean the tripod’s head outward and swing the camera out of the tripod’s axis of rotation. L-plates are frequently used for shooting landscape panoramas. An L-plate is one accessory that will make your work faster and above all easier. It lets you mount your camera to your tripod in portrait orientation. That lets the camera sit on the tripod more stable. A cable trigger will make your photography easier too, because when you’ve got one attached, you can just press that trigger instead of messing around with the self-timer on your camera, getting you tremor-free pictures faster.